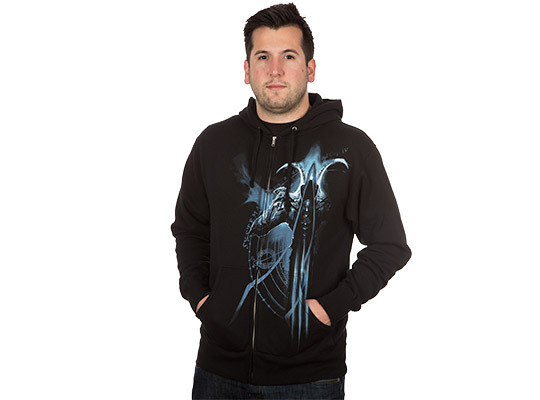 Jinx launched a brand-new line of Diablo III: Reaper of Souls T-shirt designs and a Hoodie. 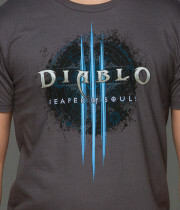 Don’t forget that all Diablo III T-shirts are 20% off with Free US Domestic Shipping until March 31. This has been a secret trick I have used for the past few years to get my Collector’s Editions delivered on release day. Have you pre-ordered a Collector’s Edition and it gets delivered 2 days after the official release date? Maybe even longer? It is a nightmare when it takes several days to arrive. Especially with the Heroes of the Storm Valla Hero redeemable until March 31. Learn how to here. How about getting it delivered exactly on the official release date? You can. If you follow my trick, you will get the Diablo III: Reaper of Souls CE delivered to your door on March 25th in the afternoon (tops). 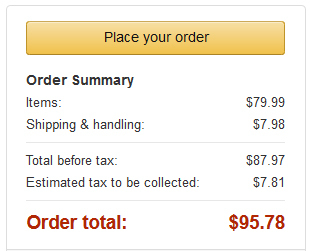 Usually when the release date is approaching, Amazon adds the “On Release Day” shipping option. What happens is that the Collector’s Edition leaves the store and gets shipped on March 23 with a 2-day shipping. Amazon makes sure that the delivery arrives on the release date (March 25th). 1. 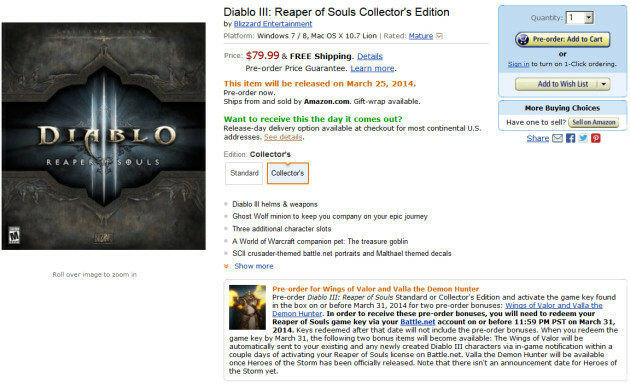 Go to the Diablo III: Reaper of Souls Collector’s Edition page. 3. Hit the pre-order button. 5. The option will cost an additional $7.98 (more or less depending where you live in the United States), but it is totally worth it. 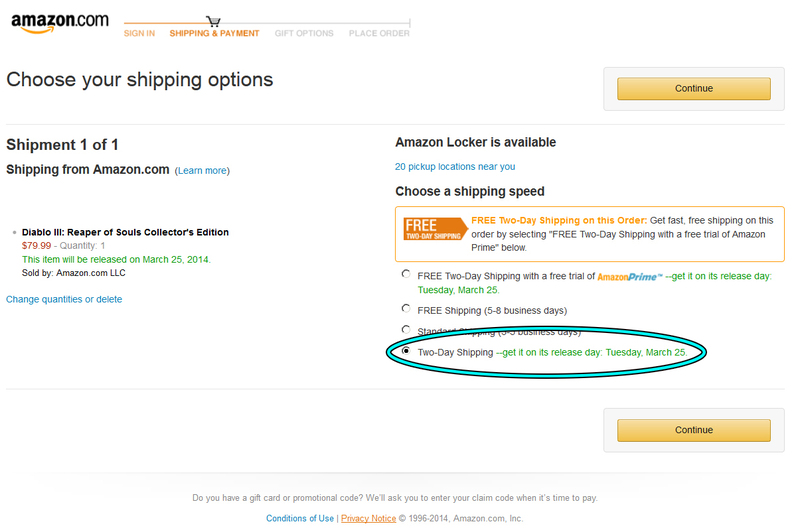 A few years ago, I contacted an Amazon representative via chat when I first noticed the Release Day option. She had to explain it to me several times as I was skeptic. I was surprised when on release date the delivery man knocked my door. The Collector’s Edition was on my door on release date afternoon. Hopefully, this may be of help to someone. If you had pre-ordered before, simply pre-order it again. Once you finish the order and you notice the estimate shipping date is on Release date, feel free to cancel the older order. Diablo fans who followed the Garwulf’s Corner at the former Diabloii.net years ago might be excited to learn something shared with me by its author Robert B. Marks. 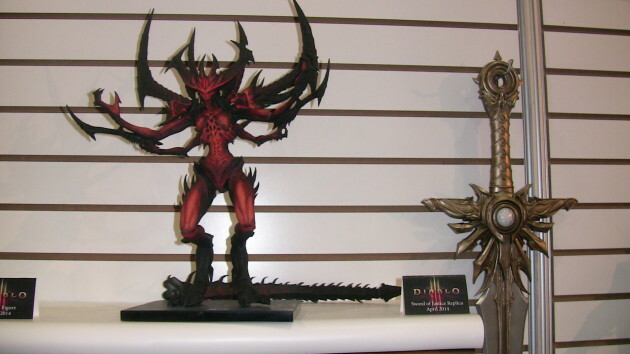 Before we get into that, for those who weren’t around the Blizzard community back then — Garwulf’s Corner was a bi-weekly column discussing everything Diablo and Diablo II, as well as life topics in general such as movies, literature, video games, etc. 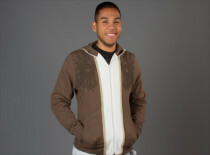 Robert B. Marks is also the author of Diablo: Demonsbane. Demonsbane was the first Diablo eBook published in 2000 and he is author of the EverQuest Companion . Most likely the first book in the Blizzard novel collection, and likely the pioneer of gaming eBooks in general — at a time where Kindle didn’t exist, and eBooks were just a first-time experiment. 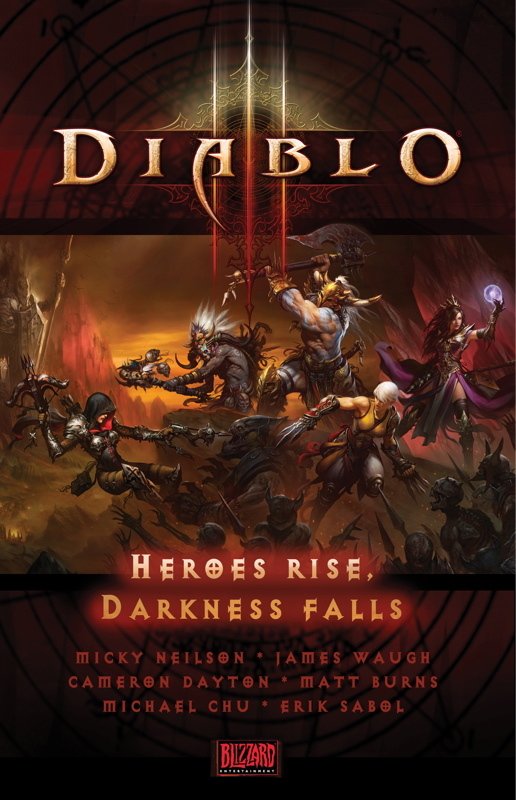 Diablo: Demonsbane can be read in printing nowadays within the pages of the Diablo Archive . Last night, Robert B. 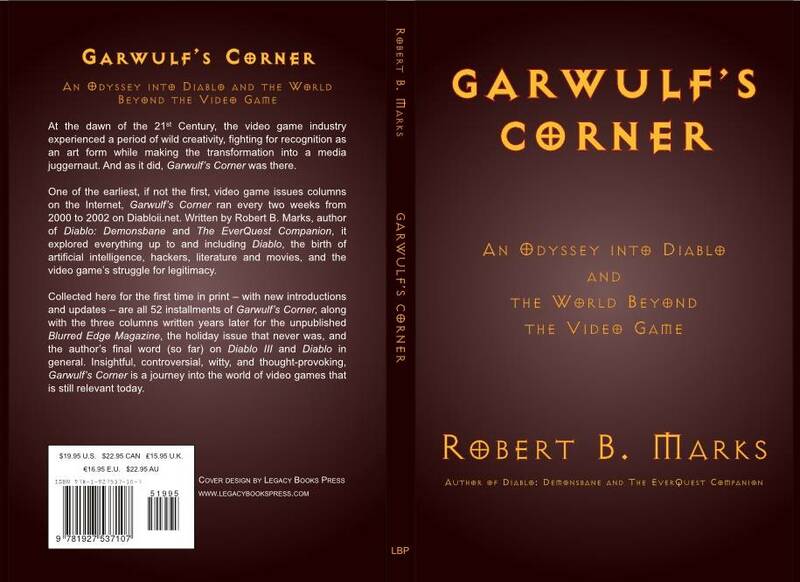 Marks informed me he is publishing a book titled … Garwulf’s Corner: An Odyssey into Diablo and The World Beyond the Video Game. 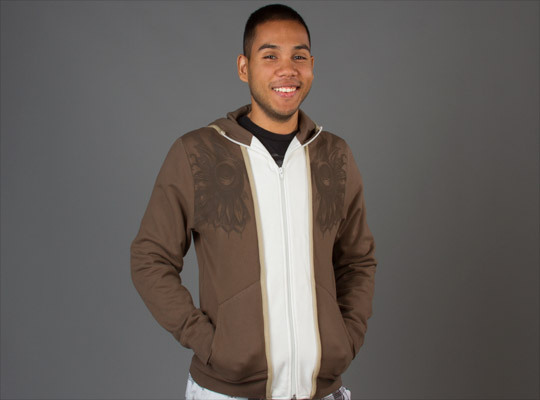 JINX has a limited-time offer of Diablo III Jackets at a 30% OFF discount with FREE Economy shipping. This offer is only active through March 5-6. So hurry up. 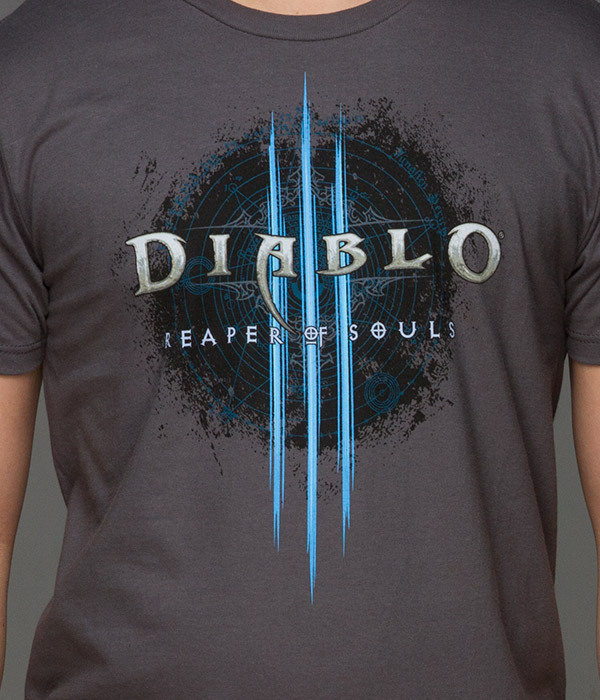 In addition, To celebrate the release of Diablo III: Reaper of Souls , JINX is selling all Diablo III T-shirts 20% OFF (PLUS Free Shipping**) through March 1-31. 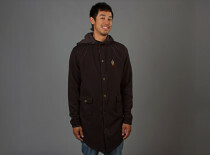 **The free Economy Shipping applies only in the United States. 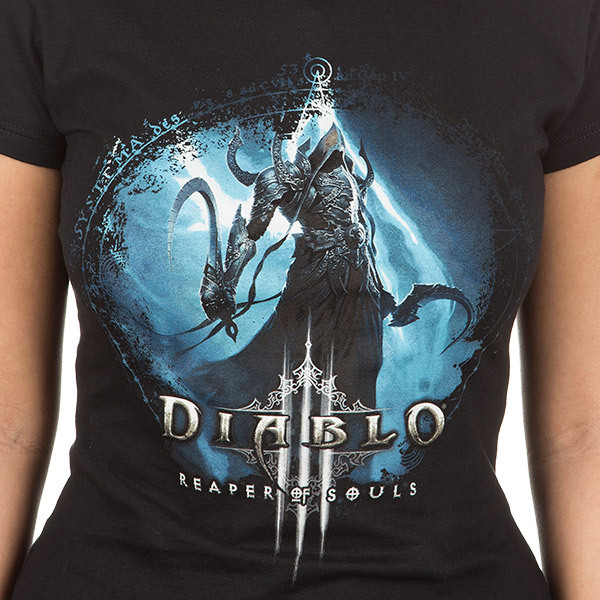 To celebrate the release of Diablo III: Reaper of Souls , JINX is selling all Diablo III T-shirts 20% OFF (PLUS Free Shipping**) through March 1-31. 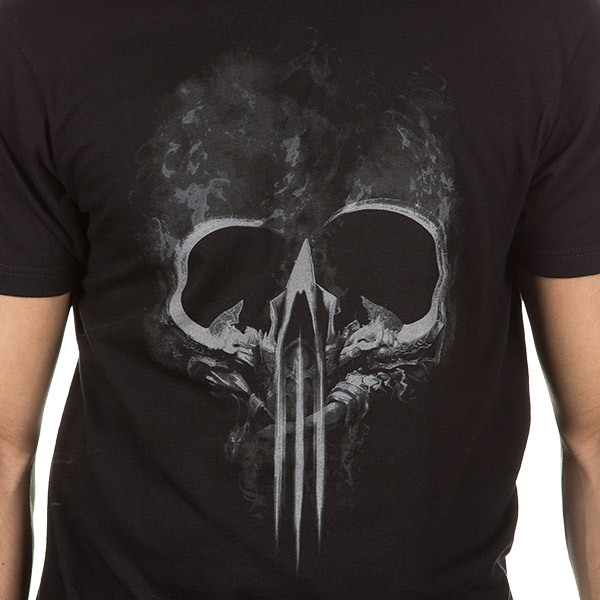 In addition, this week’s Critical Hit offer drops the following Diablo III products 25% OFF. 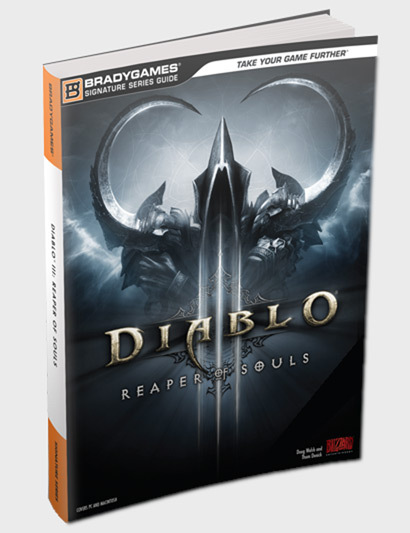 Those who pre-ordered the Diablo III: Reaper of Souls might want to add the BradyGames Diablo III: Reaper of Souls Signature Series Strategy Guide . This Signature Series Strategy Guide from BradyGames leads gamers through the sprawling streets of Westmarch to save the city, and all of Sanctuary, from a new threat. Complete quest guide covers every quest in the new Reaper of Souls expansion with town maps, minions, lootables for each new area, and descriptions of all unique monsters as you encounter them. Exclusive dungeon maps & tactics for the most challenging areas and expert strategy for all boss battles. In-depth heroes section provides a thorough rundown of all active and passive skills for each hero, including the all new Crusader. Exhaustive overview of the Diablo III crafting system, including the new Artisan, Myriam the Mystic. A comprehensive listing of all legendary and set equipment items—weapons, armor, and accessories—including descriptions for all affixes that enhance items in the game. Bestiary includes a visual encyclopedia of all creatures, old foes and new threats alike, including critical stats and detailed descriptions of special attacks, abilities, and behaviors. 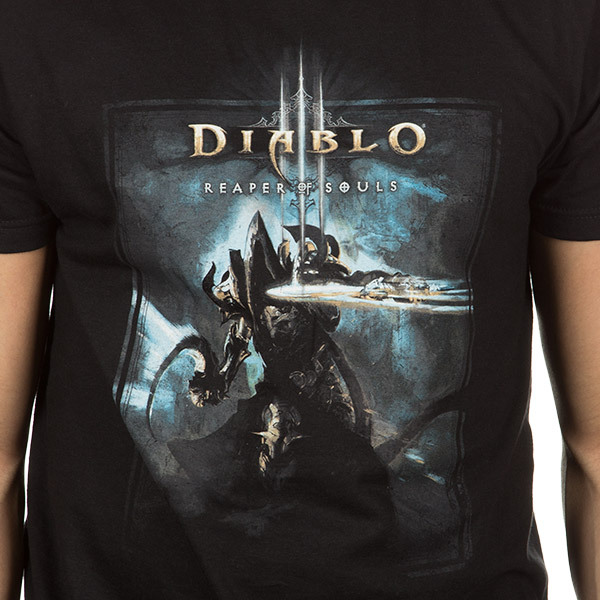 Though Diablo has been vanquished, the Prime Evil rages within the Black Soulstone, screaming for vengeance and release. 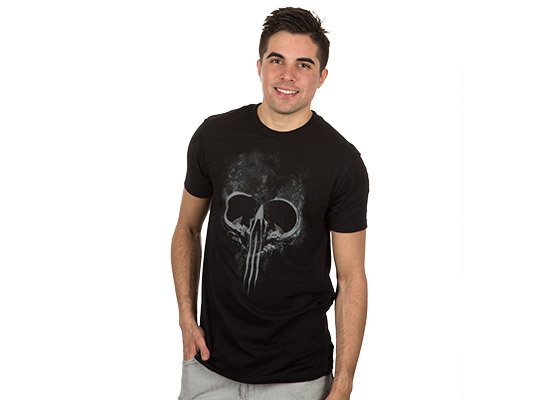 Malthael, the Angel of Death, manifests in the mortal realms with a new purpose: to steal the Black Soulstone and bend its infernal power to his will. Take up arms with the new Crusader class or as one of the classic Heroes. It’s up to you to save the city of Westmarch, and Sanctuary itself. 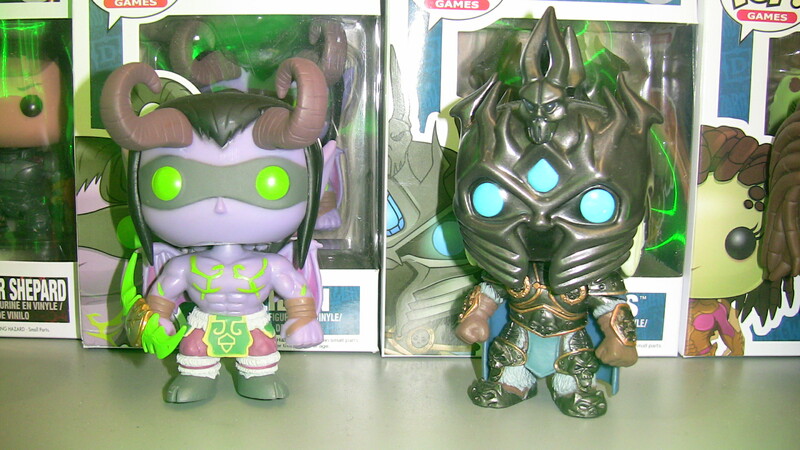 I visited the Toy Fair New York to visit some of the Blizzard partners in search of licensed products. This year there wasn’t any new products, but at least there were products recently shipped and some are expected to ship on April 2014. 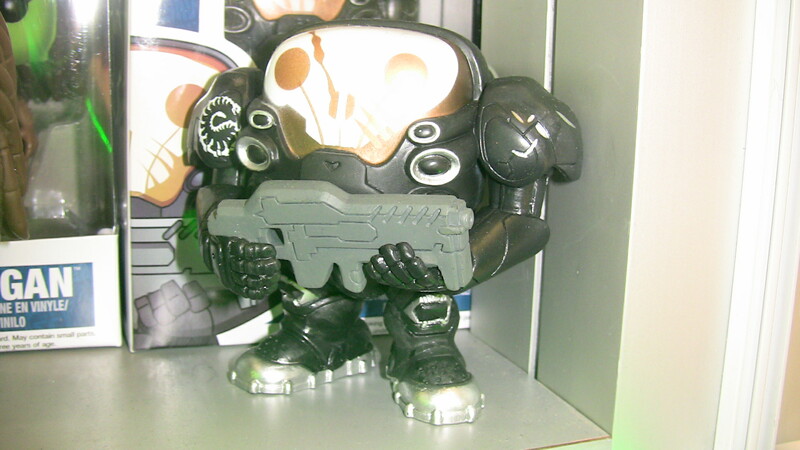 Prior to the event I learned there were no new Blizzard licensed products from USAopoly and Mega Bloks to be shown at the Toy Fair. 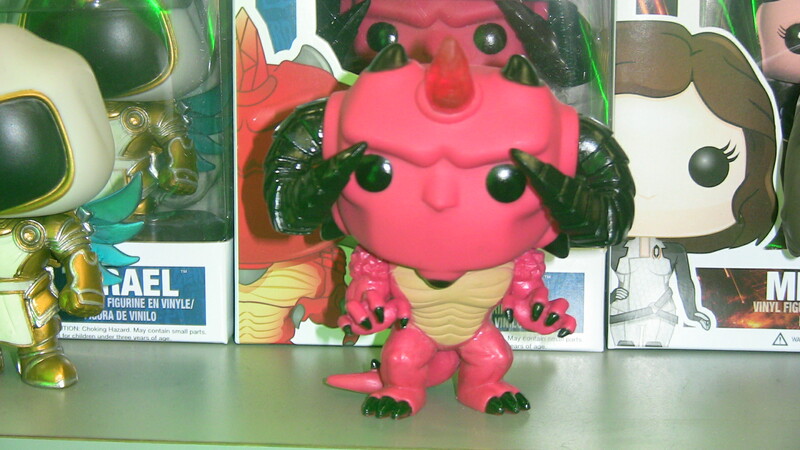 Thus, I focused my attention on Funko and NECA, who are exhibitors at the event. I had the pleasure to see the NECA Diablo III Lord of Terror Deluxe Scale Action Figure. It stands 9 inches tall with several articulations. This action figure was sculpted by former-McFarlane sculptor Brian Fay who is currently Blizzard Entertainment’s in-house sculptor. I don’t think any photo can do justice to all the details in this action figure. My sincere advice is that if you really like this action figure, please don’t hesitate nor wait until it ships. Go pre-order it. Pre-orders are like a survey. 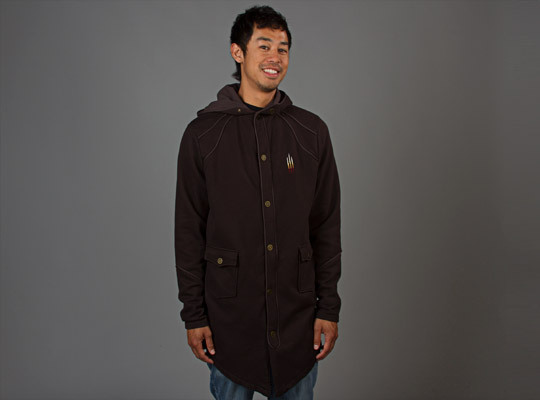 If it gets great demand, more products are created. It only costs $24.99. 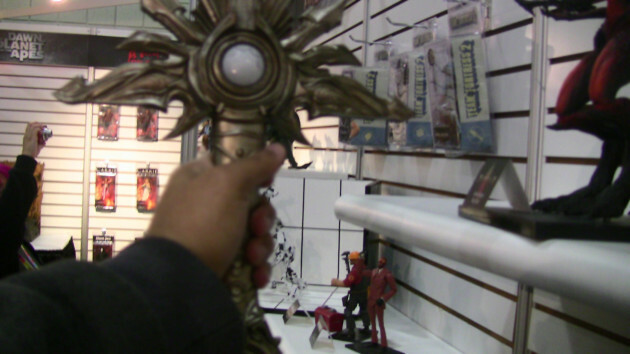 I was very excited to see the life-size Diablo III – Prop Replica – El’Druin, The Sword of Justice. 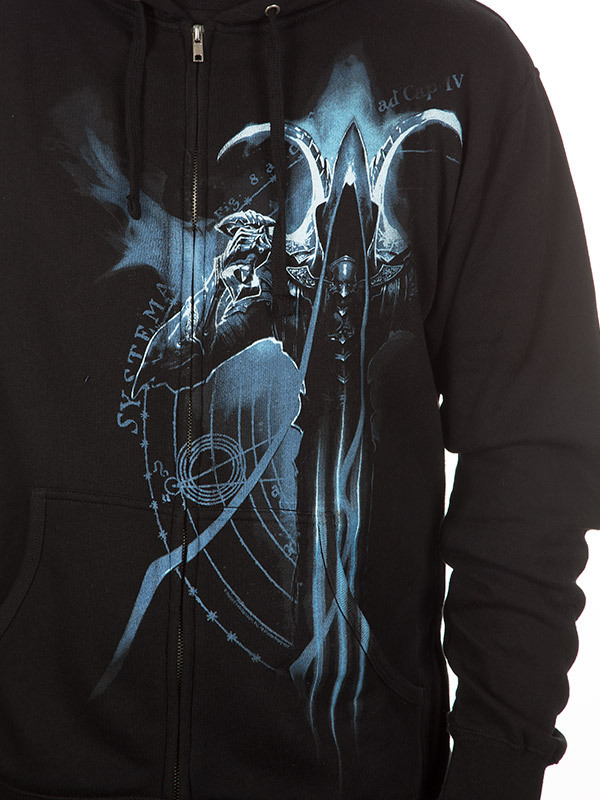 This is Tyrael’s sword. I wielded it on my hand, and it is not heavy. Feels right and balanced. The description below tells you the materials it was crafted on. The NECA booth #4802 can be found on the lower floor. This recreation of Archangel Tyrael‘s legendary weapon was built directly from digital files used in-game, and measures nearly three and a half feet long. It features a pulsing blue LED light in the hilt, simulating the awesome protective powers the sword draws from the High Heavens. Each El’Druin is carefully crafted of ABS, plastic and PVC in a construction designed for durability and impact resistance. Afterwards, it is hand-painted in gold and silver, using a mix of washes and dry brushing to enhance the detail and the metallic feel. The result is a realistic replica that looks just like the real thing, but is perfectly safe. The Diablo III: Storm of Light by Nate Kenyon has shipped today. This novel tie-in bridges the gap between Diablo III and Diablo III: Reaper of Souls. The Prologue starts right away with Tyrael facing his mortal doubts after taking the mantle of the Archangel of Wisdom, and the discrimination of his own angelic brethren while residing at the High Heavens. 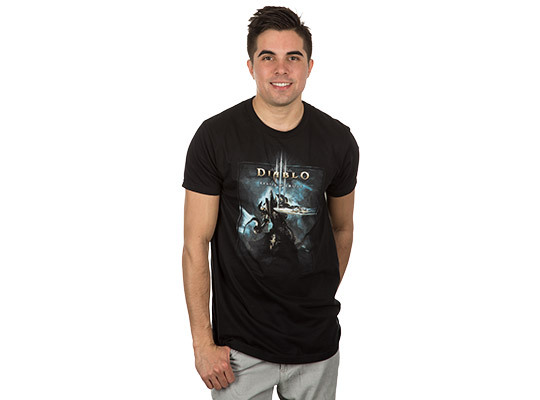 Throughout the novel, the reader will encounter iconic heroes of Sanctuary from different printed media: Mikulov from Diablo III: The Order by Nate Kenyon. Jacob of Staalbreak, Shanar the Wizard and Gynvir the Barbarian hail from the pages of the DC Comics Diablo: Sword of Justice graphic novel by writer Aaron Williams & artist Joseph Lacroix. Zayl the Necromancer can be found in the pages of Diablo: Kingdom of Shadow (reprinted in the Diablo Archive ) and also main character in Diablo: Moon of the Spider — both by New York Times best selling author Richard A. Knaak. Expect a Blizzplanet review very soon. All these novels (except for the Diablo Archive) are available in Kindle by following the links. However, you don’t need a Kindle device to read them. 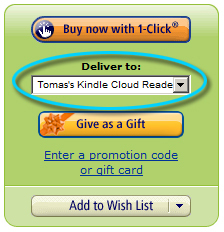 There is an option to read it with the Amazon Cloud Reader which allows you to read the books and the graphic novel on your PC/Mac internet browser. Blizzard Entertainment released an excerpt of the upcoming Diablo III: Storm of Light novel by New York Times best-selling author Nate Kenyon. In this brief excerpt we can see the interaction between the Angiris Council and Tyrael in his mortal form shortly after the Diablo III cinematic finale where Tyrael took his place as the new Wisdom. According to the Diablo III: Book of Tyrael , the mantle of Wisdom was infused into Tyrael by the Crystal Arch itself — which is something that happened off-panel and not in-game. The excerpt shows the debate between the archangels of what should be the proper thing to do with the Black Soulstone, and the enigma that it represents. It was forged by a human, and thus the angels can’t predict what might happen if the Black Soulstone was destroyed. Not even the scrolls of fate know. Tyrael suggests it should be hidden away. The novel gaps the bridge between the Diablo III cinematic finale and the Diablo III: Reaper of Souls cinematic intro. The novel will be available on February 4, 2014. 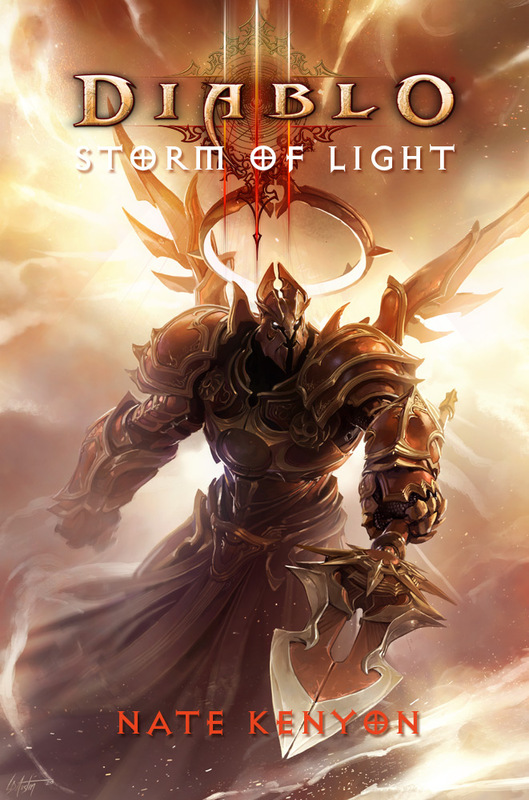 Pre-order Diablo III: Storm of Light in paperback or as an eBook (Kindle, mobile or PC/Mac). 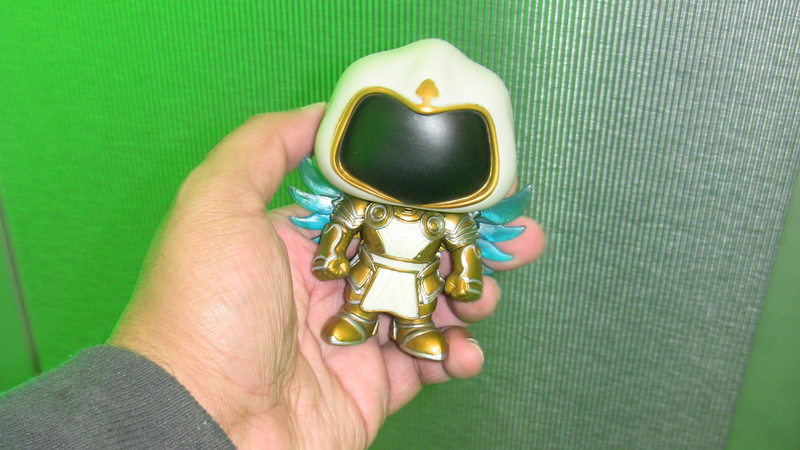 Amid these momentous events, Tyrael struggles with his position as the new Aspect of Wisdom, feeling out of place as a mortal among his angelic brethren and doubting his ability to fully embody his role. As he searches within himself and the Heavens for reassurance, he senses the Black Soulstone’s grim influence on his home. Where harmony of light and sound once reigned, a mounting discord is threatening to shroud the realm in darkness. Imperius and the other archangels vehemently oppose moving or destroying the crystal, leading Tyrael to put Heaven’s fate in the hands of humankind . . . . Drawing powerful humans to his side from the far ends of Sanctuary, Tyrael reforges the ancient Horadrim and charges the order with an impossible task: to steal the Soulstone from the heart of Heaven. Among the champions entrusted with this burden are Jacob of Staalbreak, former avatar of Justice and guardian of the angelic blade El’druin; Shanar, a wizard with phenomenal powers; Mikulov, a lithe and reverent monk; Gynvir, a fearless and battle-hardened barbarian; and Zayl, a mysterious necromancer. With time and the forces of both good and evil against them, can these heroes unite as one and complete their perilous mission before Heaven falls to ruin? 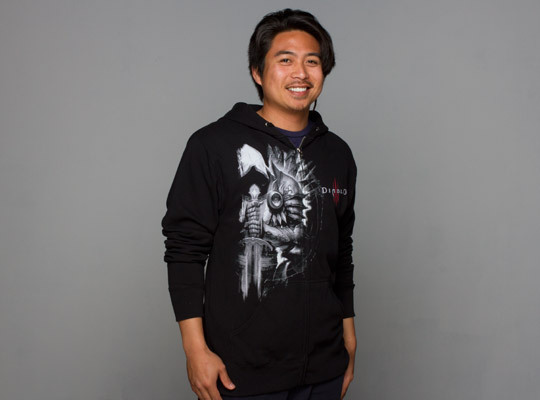 “It must be hidden!” Tyrael said. Tyrael looked at his fellow archangels, sadness washing over him. He imagined that they viewed him with suspicion, perhaps thinly veiled hostility. Even Auriel’s aura had changed, her wings pulsing softly with a light that mirrored the taint he had seen in the gardens among the trees.